This fixed my issue with the YouTube5 Safari extension! Thanks! If you’re having trouble with youtube playing with the youtube html5 player please try going to http://www.youtube.com/html5 and opting out of the youtube html5 test. So a "new" (no it's not new) Mac Flashback Trojan is the talk of the town in tech media circles right now. 600K may be infected, which tells me that there are approximately 600K Mac owners out there who need some BASIC instruction on avoiding malware (the same folks who've infected their PCs for years because they're clueless). For what it's worth, I ran the terminal commands to check my machine and…as I believed…it's clean. The reason is that I don't install software on my machine from just anywhere. If I want to install Flash, I go to Adobe's site myself. I NEVER rely on another's hyperlink (heck, I even know how to check the hyperlink…just hover your cursor over it for a second). You wouldn't do this to go to your bank account from an email, would you? Then why do it anywhere else for ANY reason. Social engineering is the tool these malicious developers use most often, so do yourself a favor: learn how to avoid being duped in the first place. You may run into this issue after upgrading to Lion or after doing some system maintenance that deletes the Help system files (same thing with Spotlight which is managed by mdworker). If that happens, just let it run until it's finished. HIUTIL and MDWORKER CPU. Immediately after installing Lion, and over a period of a few hours, the hdutil and mdworker processes will be using up 90% to 100% of your CPU making the computer very slow. These tasks are used to update the Spotlight index and help file index. So, it’s best to wait until these programs have completed their tasks before continuing to work on the computer. Although I occasionally rant on here about some of Apple's inexplicable actions, you can see that I don't give up on Apple or their products. Quite frankly, they're second to none, even with the occasional tendency of Apple to avoid admitting fault at all costs. Well, I'm going to sing their praises right now. My shiny, new iPhone 4S developed a short or glitch in the audio output of the Dock Connector. Everything else would work--charging, data. Just garbled or mono audio. So I made an appointment at the MacArthur Center Apple Store in Norfolk, VA. They were prompt, helpful, and friendly. Above all, they immediately REPLACED my iPhone with a brand new one at zero cost. Problem solved. So, in some respects, their customer service is second to none, especially at the local level. Way to go Apple. Thanks for taking care of me! iPhoto No Longer Recognizing iPhone? If you moved to iOS 5 on your iPhone and downloaded the latest version of iPhoto (that allows for Photo Stream using iCloud), you may have noticed that your iPhone is no longer recognized by iPhoto when you physically plug it into a Mac running Lion. iOS 5 brought all sorts of new features, including WiFi sync and automatic download of your phone's new photos over the last 30 days using Photo Stream (part of iCloud). But with that power comes the inevitable hiccups. These new features and conveniences can create a problem if you had old photos hanging around on your iPhone that hadn't been transferred to iPhoto. You might think, "Big deal, I'll just use the wang-bang new iCloud to transfer my old photos." Nope. Only new ones. What I did to fix this was to follow some of the information in the troubleshooting link below. The primary fix for me was unplugging and replugging the docking station from my Mac Pro. That seemed to fix it and now my iPhone is recognized by iPhoto, even with Photo Stream and WiFi syncing enabled. Time will tell, but always open up Image Capture to see if your computer is recognizing your iPhone's physical connection (via USB). Mac OS X: Open Image Capture (located in the Applications folder). 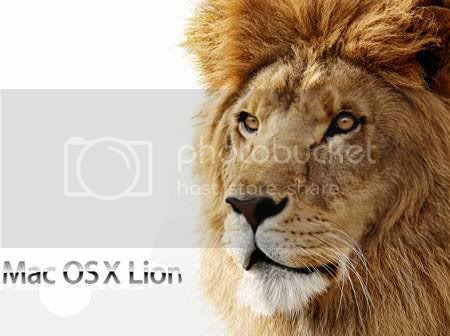 Lion-to-Lion File Sharing Troubles: Fix! After upgrading our machines at home to Lion, I discovered that AFP file sharing no longer functioned. I would get various errors when trying to connect from one machine to another. The errors were things like "too many users connected." Well, after much research (apparently there are many problems with Lion's implementation of AFP and SMB), I found that deleting the preference file referenced below and rebooting fixed my file sharing issues. I changed the values to 10, and it seems to be working now. I guess you're thinking that this will be another commentary on OS X Lion's really ugly, new Address Book interface (along the lines of Lion's equally ugly, new iCal interface). No, it won't be that, although I am among those who don't like the change to the faux leather look (a GUI design idea that went stale about 10 years ago). I'm talking about the Address Book's internal changes that costed me HOURS of work to get things functioning normally again…specifically, syncing information to my iPhone. Here's the story: I thought I would be smart about my Lion upgrade. First, I waited until version 10.7.1 to go for it. Then, I ordered a brand new 1TB hard drive to install in my Mac Pro. I used Onyx to really clean up my Snow Leopard install, and then I proceeded to use Carbon Copy Cloner to clone my SL drive to the new 1 TB drive. Now I was ready to upgrade that new drive to Lion, keeping my original SL drive as a backup. Smart, huh? But Apple would get the last laugh. I upgraded as described and everything seemed great! I love Lion's new zippiness and several of the features (though Launchpad is fairly useless for me). Then, I plugged my iPhone 3GS into the dock and synced normally with iTunes. A first glance and everything seemed fine. Wrong! I received a text message from my wife and noticed that it had her number listed instead of her name. What was this? I looked through my Contacts on the iPhone and noticed that NO CONTACTS HAD PHONE NUMBERS!!! All the other information was there: addresses, emails, notes. Just not the most important bit needed in a phone--the damn phone numbers!!!! A glance through the Address Book on the Mac showed that all the phone numbers were still there. They just wouldn't sync. I tried all the usual troubleshooting stuff, to no avail. Realizing that my issue had something to do with syncing, I followed Apple's own guidance for advanced syncing issues. All of these steps did not help, initially, because they failed to take into account the iPhone itself. I also tried iTunes and replacing all the contacts on the iPhone, which also did not fix the issue…still no numbers. I even posted on Apple's community web site for help and got no takers. So, I went back to Apple's advanced syncing troubleshooting article and went about it from a different angle. As I touched on earlier, they never really brought the phone into the discussion much, other than saying sync normally after the troubleshooting steps. Thinking I had an epiphany, I toyed with Address Book preferences--specifically the phone number format (which is a bit buggy at the moment); that was also ineffective. So, I decided to backup my Address Book into an archive, copy a vCard for all my contacts and groups, and then delete everything to do with Address Book from my Mac except the application--just as the article describes (remove caches, Application Support folder, and preferences). The difference is that--after doing all those steps--I also synced the phone and made sure that all my contacts were deleted from the Contacts app. I now had a virgin Address Book and a virgin Contacts app on the iPhone. From here, I reimported my contacts using the vCard into Address Book. Apple's instructions for recreating groups did NOT work; maybe it worked before Lion, but not now (this was really frustrating…trying to easily recreate groups as they described resulted in a huge amount of wasted effort, with groups that appeared reconstituted but with contacts that disappeared after restarting Address Book). So, I had to manually recreate my groups, which took HOURS (as I said). I used Quick Look to help me do this; highlighting a vCard in the Finder and pressing spacebar gives you a look at all the contacts inside each group. Then it's just a matter of searching for them in Address Book and then adding them to the recreated group. A huge waste of time! I also need to add that I used my Address Book with Dropbox, but moving my Application Support folder back to the Library did not fix the issue either. Dropbox was not the culprit. I imagine it's related to the coming iCloud and the changes required for syncing to that medium, but who knows. Ironic that the most important bit of information on a phone--the numbers--were omitted from the syncing process, leaving me with an essentially useless phone.